Lady of the Night. 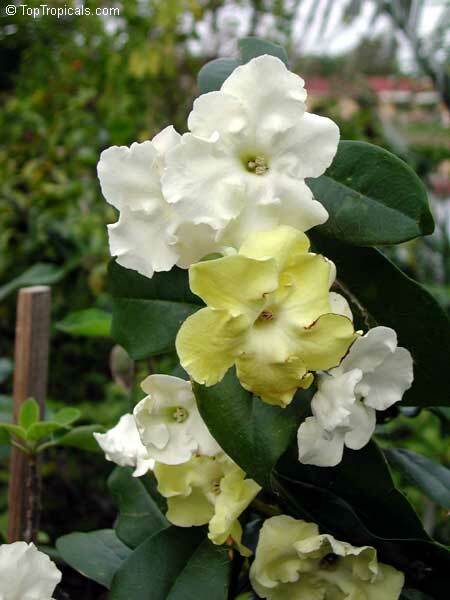 Very fragrant at night! 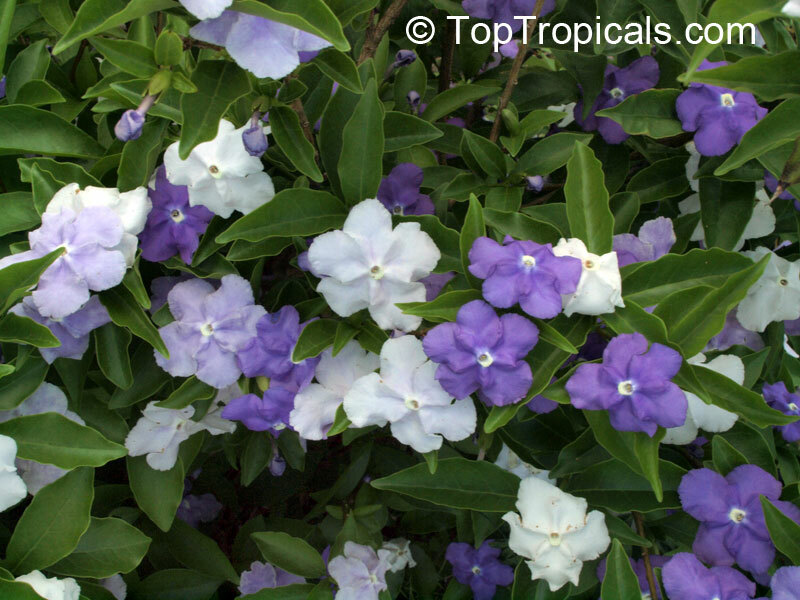 The most vigorous variety, good for sun or shade. 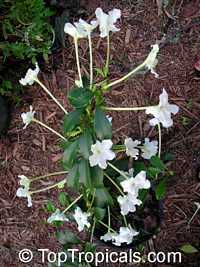 Waxy thick leaves, relatively cold hardy, profuse bloomer. If you enjoy fragrant flowers, do not miss this variety of Brunfelsia - Lavender Lady of the Night. It is a well known fact that most nocturnum flowers (fragrant at night) are mostly white or off-white. 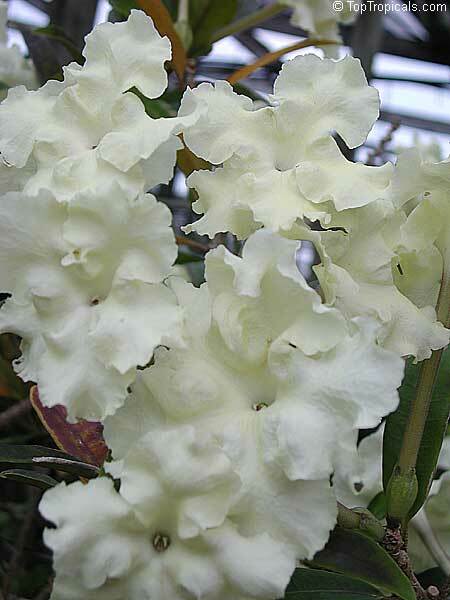 This one is a new cultivar created as a cross between B. americana and B. grandiflora. It has benefits of fragrant cream-colored brunfelsias and light purple color of flowers that change sometimes to cream-yellowing, remaining purple margins. 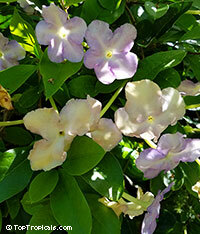 Lavender to off-white flowers have very strong night fragrance. Very rare, collectible plant. Hybrid Brunfelsia, Purple Lady of the Night. This is a new cultivar created as a cross between B. americana and B. grandiflora. 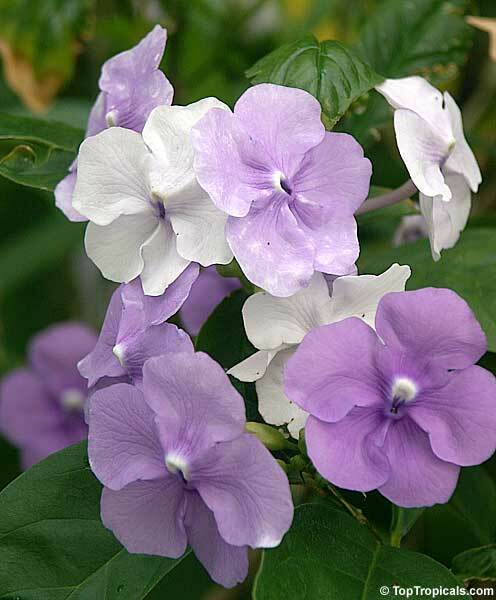 It has advantages of fragrant cream-colored brunfelsias and light purple color of flowers that change sometimes to cream-yellowing, remaining purple margins. Very slow-growing. Lady of the night - very fragrant at night. 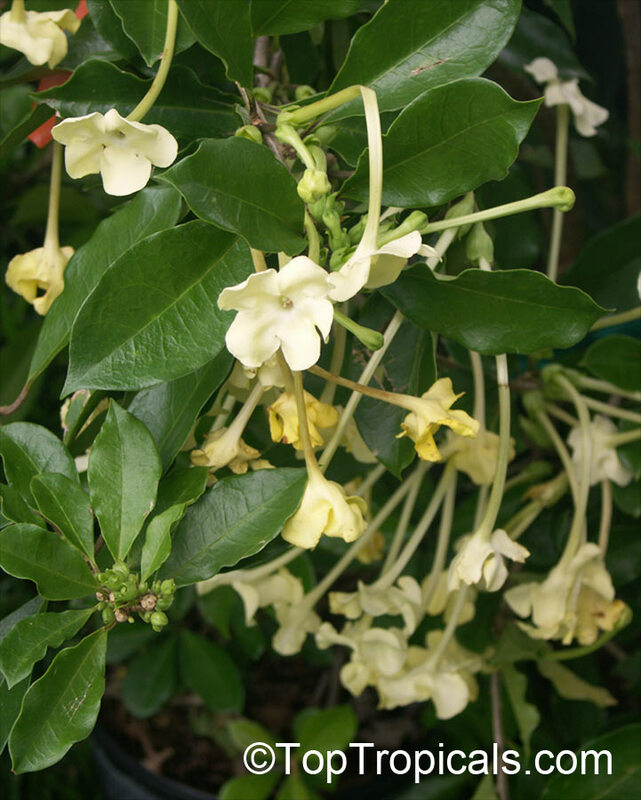 Vanilla-scented, spicy flowers. Shade loving plant, but can take bright sun too. Large to medium size shrub with highly perfumed flowers that are fragrant at night (after 7-8 pm). 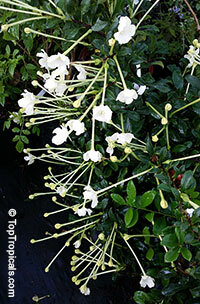 Very similar to B.lactea, but flowers have longer tubes. 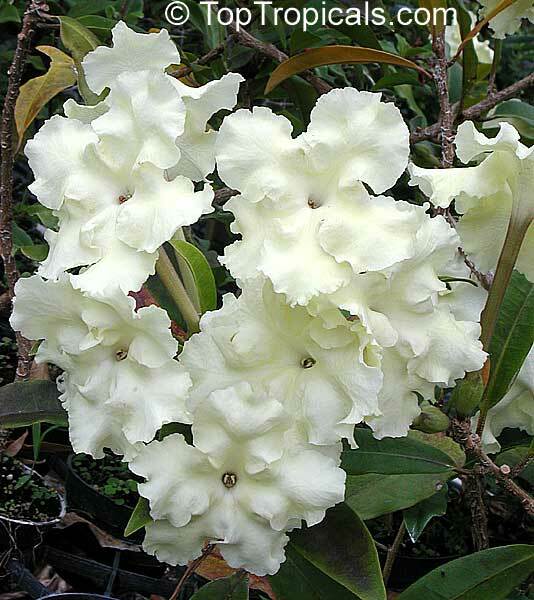 Beautiful white flowers, look like porcelain, very fragrant at night. Narrow dark green leaves, prefers filtered light. 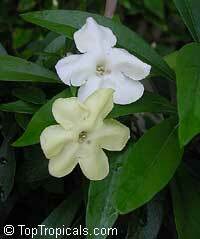 Beautiful white flowers, look like porcelain, very fragrant at night. Narrow dark green leaves, prefers filtered light. Very fragrant Lady of the Night. 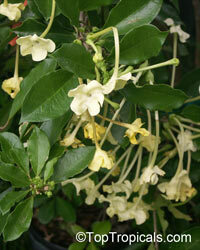 It has creamy white flowers with long tubes, which are extremely fragrant after dark. 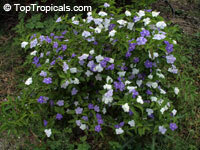 This plant grows as bush and is more compact than Brunfelsia americana. 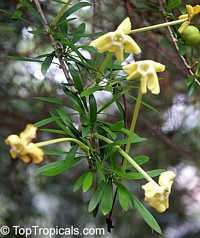 Bushy variety, more compact than b. americana. 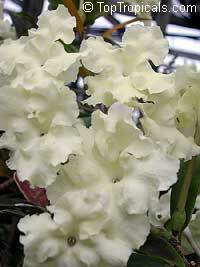 Very fragrant at night, profuse bloomer. 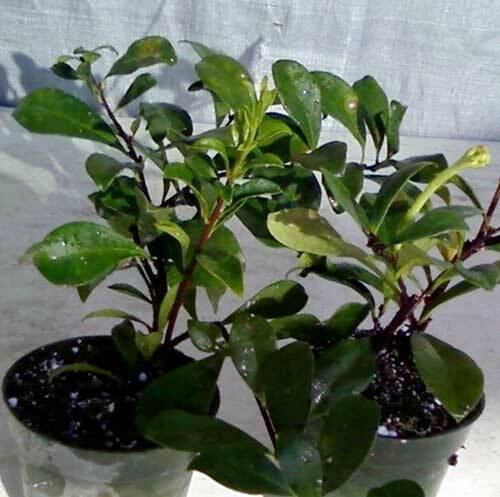 This evergreen shrub is slow growing and has dwarf compact habit. In bloom it is very dramatic: abundant fragrant flowers open rich purple and fade to mauve and white over a few days, all through spring and early summer. 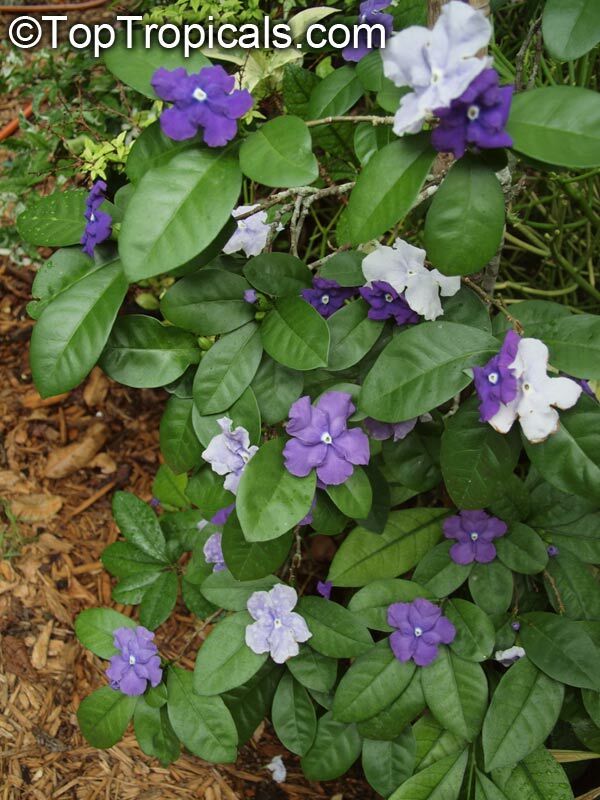 Rare and hard to find species, with the largest wavy shaped flowers, Brunfelsia plicata (jamaicensis) is a fast-growing, small, erect, delightfully fragrant flowering shrub endemic to Jamaica. 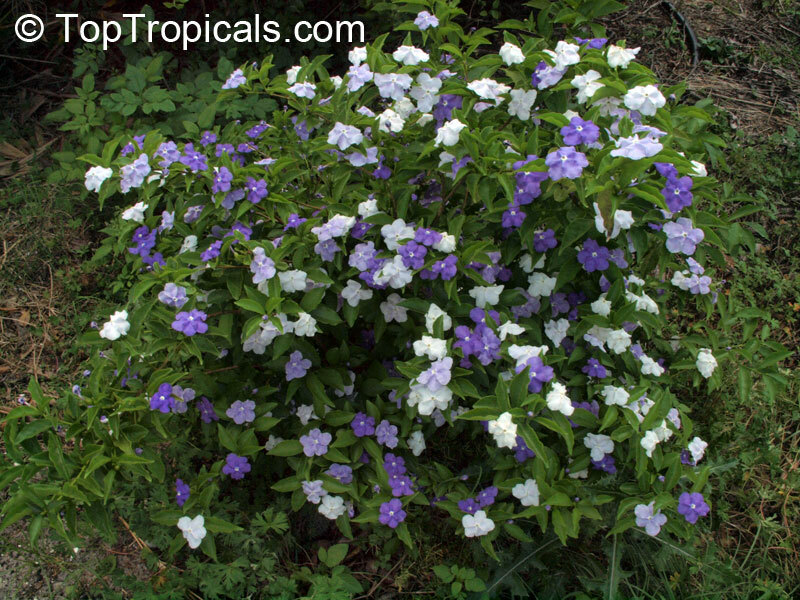 The sturdy, dark green leaves make a good background for the showy flowers. The creamy white flowers with long tubes and wavy margins are extremely fragrant after dark. Blooms fall to winter. It's a specimen plant. Perfect houseplant for a bright window.